Endocardial mapping and radiofrequency catheter ablation are well established modalities for the diagnosis and treatment of patients with Wolff–Parkinson–White (WPW) syndrome associated with tachyarrhythmias. However, the electrophysiologic techniques are invasive, require radiation exposure, and lack spatial resolution of cardiac structures. A variety of echocardiographic techniques have been investigated as a non-invasive alternative for accessory pathway localization. Conventional M-mode echocardiography can detect the fine premature wall motion abnormalities associated with WPW syndrome. However, it is unable to identify the exact site of accessory pathway with sufficient accuracy. 2D, 2D-guided M-mode, and 2D phase analysis techniques are limited by image quality and endocardial border definition. 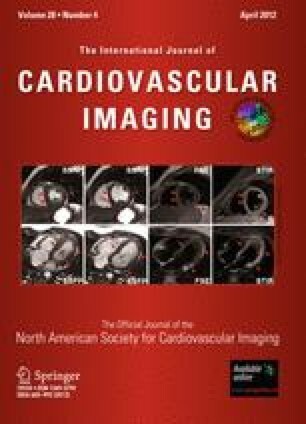 Various modalities of tissue Doppler echocardiography significantly increase the accuracy of left-sided accessory pathway localization to 80–90% even in patients with poor acoustic window. However, right-sided pathways remain a diagnostic challenge. Strain echocardiography by speckle tracking has recently been evaluated and appears promising. Different cardiac abnormalities have been detected by echocardiography in WPW patients. Patients with WPW syndrome and tachyarrhythmias have impaired systolic and diastolic function which improves after radiofrequency ablation. Echocardiography is useful in identifying patient with accessory pathway-associated left ventricular dyssynchrony and dysfunction who may benefit from ablation therapy. Transesophageal and intracardiac echocardiography have been used to guide ablation procedure. Ablation-related complications detected by routine echocardiography are infrequent, rarely clinically relevant, and of limited value. Qiangjun Cai and Mossaab Shuraih contributed equally to this manuscript.